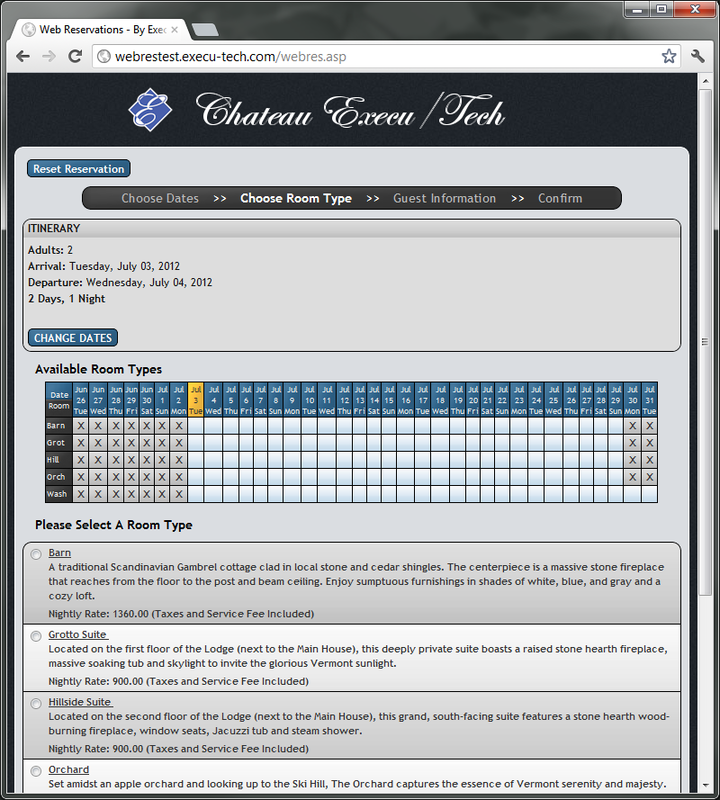 This guide will assist you in installing and configuring Execu/Tech System, Inc.’s WebRes. There are several parties involved in this installation, so have each party ready at the appropriate time and prepare each of them by providing this document. If something in this document isn’t clear, please ask. Please have your network professional or web developer contact us with any questions they may have. This guide is updated for WebRes version 2.3.7 and newer. Most parts are applicable to all versions. If upgrading from a version prior to version 2.2.0, be sure to extract the files to a temporary location and integrate your current settings in inc_headder.asp, inc_footer.asp and inc_variables.asp before copying them to the live folder. Please note that in this case all font, color, border, etc. settings are now handled by webres.css. You must notify Execu/Tech Systems when you’re ready for your site to go live. 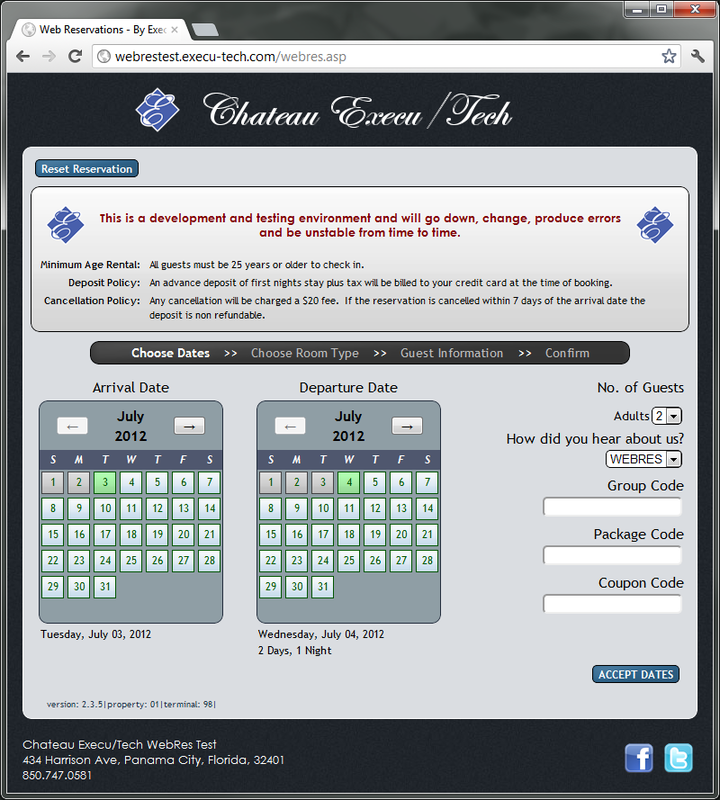 Until then, your site will run in ‘test mode’ and while reservations will be made, no credit cards will be charged. DO NOT GO LIVE IN ‘TEST MODE’! This is the general flow of information from the guest to WebRes. The guest clicks a link, provided by the customer's Web Developer. This link points to a URL or an IP address. The IP address is maintained by the customer or their IT or their Internet Provider, not Execu/Tech. 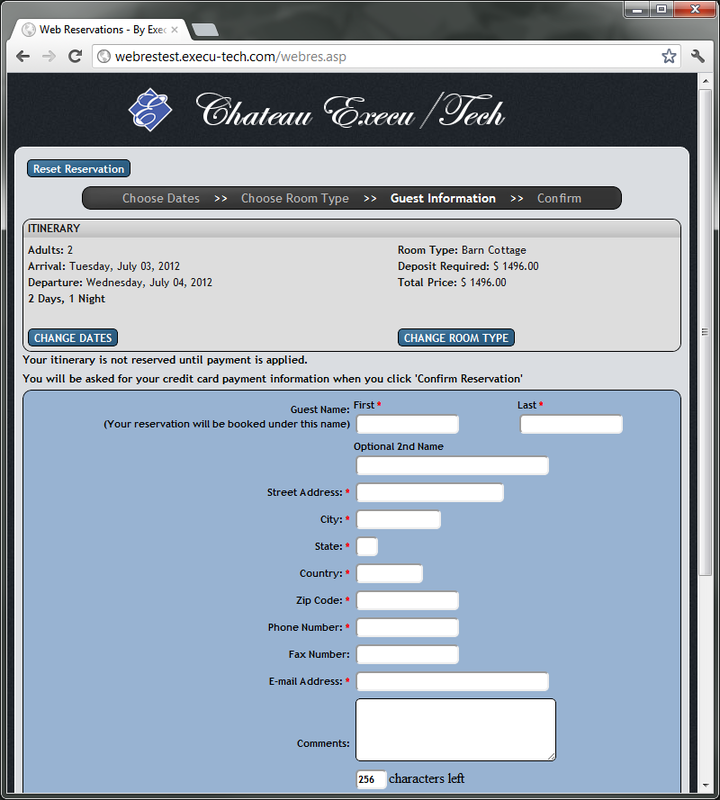 The guest's browser is directed to the WebRes application hosted on the customer's PMS server. WebRes will be able to respond if the URL or IP address has been directed to the correct location. The customer's internet and networking hardware must direct this traffic to the WebRes server by proper router and firewall settings. These settings are maintained by the customer's IT or their Internet Provider, not Execu/Tech. If the internet and network settings are correct, the WebRes application will return a web page to the guest, allowing them to make an online reservation. If this isn't working, contact Execu/Tech support and we can fix the problem if it's caused by the WebRes application, or we can point you in the right direction. These pages provide the information you need to install and configure WebRes. Upon completion of these tasks, your IT professional should email us, using the link below, to let us know it's been done. If your IT professional has any questions regarding this section, please contact Execu/Tech before emailing us. Once this pre installation signoff is received by Execu/Tech, WebRes installation will be scheduled for the soonest available time. In the email, please provide the property name, your name and contact information as well as a note telling us the pre-installation steps are complete.